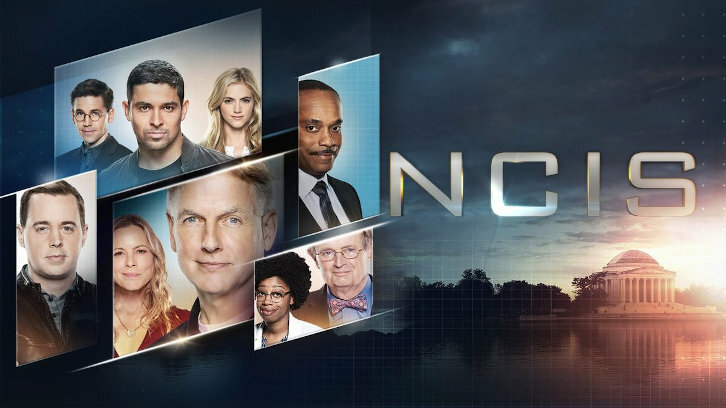 NCIS takes on the Memory Loss trope and it clunks along but has some high points and some story resolution. At the heart of the Torres story is first how he feels about being roofied and then the fact that in the back of his head, he thinks he could have done the things he was being (very badly) framed for. He could have killed a woman and stolen $12 million in uncut diamonds. Because he’d been That Guy before. Remember the Deep Cover assignments he'd had before coming to NCIS? We know a lot of the things he had to do weren’t legal; he’d have to prove himself to the people he needed to investigate by no doubt doing some vile things. So there is a part of him that knows he was That Guy. Could he still be That Guy? Maybe when he wasn’t in control of himself, he felt that he could slip back into that persona. Torres is also big on his situational awareness. He knows where he is at all times and where everything around him is, too. But this time, for some reason, it didn’t work. He didn’t work. Somehow someone got close enough to him to drug his smoothie at the gym, and that’s not okay, especially because it was someone he didn’t even know. He can’t believe it happened, and you can see how much that doubt hurts him. I wonder if the two-sentence conversation he had with Gibbs means he really has been drinking to cope with some personal demons. It shook him up enough to sit down with Sloane and actually talk about it. And he had to be freaked out for that to happen. This episode also ties up the CIA story and presents another potential problem for the team to help solve. First of all, Leon? You have excellent taste in covert jewelry. Also, I’m not sure whether his faux girlfriend really wanted the case to be over, so she’d have to stop seeing Leon. Didn’t she look kinda sad? Whatever, honey. But now the CIA agent who had Leon investigated to see if he’d been turned after being kidnapped (which is fair enough) wants Leon, Gibbs and the gang help bring down the Secretary of Defense, who apparently has $250ish billion dollars in an offshore account. If you can believe the agent who spoke to Gibbs and Leon at the end up the episode. Which I kind of do. Maybe. The CIA is tricksy. CIA Guy thinks that Leon and Co. are the only honest people left in DC, aside from him, I guess. I thought was putting it on pretty thick. He wants them to “run into a burning building” with him and help take Crawford down. Nobody else in the entire government wants to help, and Leon is his only hope. Now we know what a large part of the rest of the season will revolve around, although it may be that things are not what they seem. The criminals were idiots. First, they put Torres on a ship with a connection to Brueger, the group that Torres helped bring down in an Op several years before. And who were the people setting him up, so maybe not the best choice. Then they kill the Mona Lisa (Jessica Ho) but dispose of the body in a way that Torres never would. Torres spent years with the kind of people who could kill someone and dispose of the body in a way that would never trace back to them. If they ever found a body, that is. Leaving her body behind a dumpster in the parking lot of his gym with his beloved Betty on top of her? Yeah, not remotely skillful. Not Torres. Better to have made it look like the murder was committed on the boat where Torres was found, but never find her body. Or find the body but not Torres. They could have killed him and dumped him in the ocean, making it look like he took the diamonds and ran. Maybe the NCIS crew (save Bishop, it would seem) would have believed that he never could have done it, but it sure pours a ton of reasonable doubt on the case. I guess Brueger had their assets frozen, because they sure couldn’t afford quality criminals. From an investigative standpoint, it annoyed me that they had a bullet and never gave us any ballistics resolution. Did it match Torres’s gun? By the way, where is his gun? I don’t recall anyone asking him that anywhere in the episode, and you’d think that was a pretty important question. 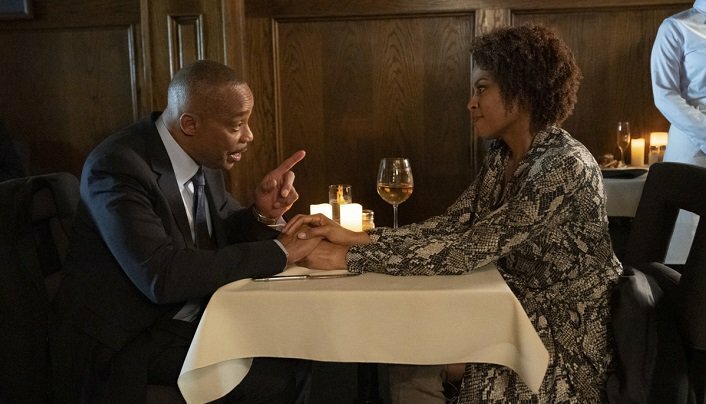 Gibbs slips in a question about where Nick has been drinking (did you hear his reply? ), but not about his gun. It just seems very odd. Bishop’s reaction to Torres’s situation seemed very out of character. I mean, it didn’t look great for Torres at times, but she was the only one who expressed any real doubt. It makes no sense at all. Didn’t Ellie give him a mini-lecture about trust between partners a few episodes back? Don't even look at me, Ellie. Looks like the writers are trying to shake up the Torres and Bishop friendship. maybe kick it back a few steps. I’m interested to see what that looks like and where it all goes. I liked that Gibbs gave the task of packing up Ziva’s things to Bishop. If it were up to him, he’d linger over her possessions and end up paying the owner rent for another year. Or ten. This is the man who slept on a couch for easily 20 years to avoid sleeping in the bedroom he and Shannon shared. Did anyone think that the woman working for Coast Guard Commander Hendrix (and who turned out to be one of the dumb criminals) might be some kind of robot? I’d say Fembot, but those have programmed personalities. She just stealthed around in the background and smiled creepily when confronted as being one of the incompetent criminals; at least, until they found the diamonds. Ducky’s new office is everything. All he needs is a shark tank.